I’ve been a big fan of HiFiMAN for a while. My first legit headphone was the HiFiMAN RE0. My very first post on HeadFi was a silly three way ‘review’ that included that HiFiMAN RE0 against two pairs of cans. It did alright. Later on HiFiMAN was recruiting folks to review their MegaMini, which I didn’t dig at it’s original price (much better at $99), and their SuperMini, which I did. I ended up with these HE1000 v2 headphones because of winning the HE1000 v2 photo contest. I won first prize in the international photography contest for the picture below and received the EF6 amp as the prize, but it was defective and HiFiMAN didn’t have any more of them, so they gave me a demo pair of HE1000 v2 instead. Their representative managed to scrounge up all the retail elements, which was really cool of him. I think the headphones were a more fitting prize for the HE1000 photo contest anyway. These were some of my favourite headphones on the planet before owning them. Now I own them. I’ve already done an unboxing and initial impressions post, so I’ll just Ctrl + C and Ctrl + V some of that here. HiFiMAN boxes are famously plain. Most products don’t have a retail sleeve, per se. I’ve previously bought the HE-560 and the box looks basically the same. Inside, however there is fancy-looking storage box. 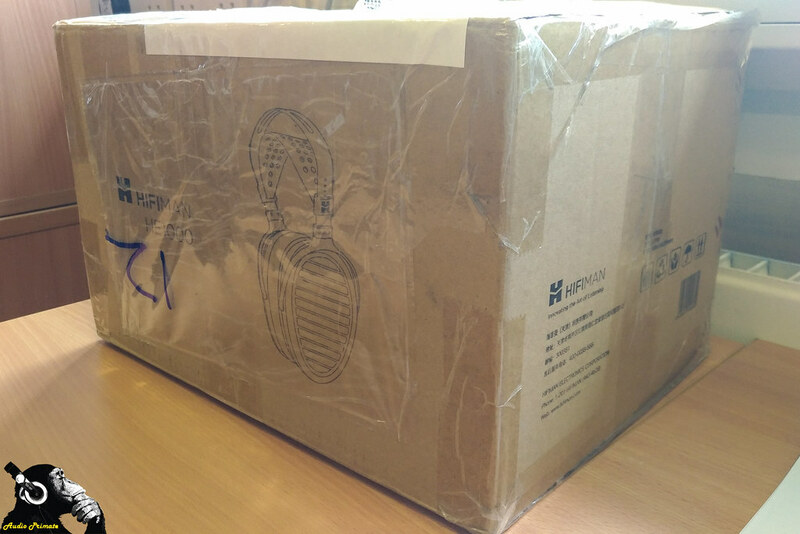 The box is exactly the same box that the HE-1000 v1 came with. I would have rather had a functional transport case. This thing lives in my closet. This is all of the contents of the non-descript box. Except the toys and erasers at the top. Those are all me. I find the HE-1000 V2 incredibly comfy. 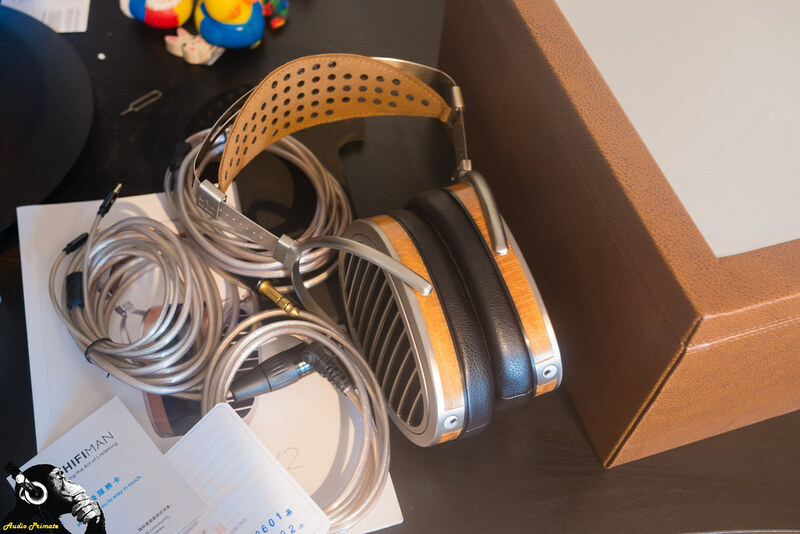 The leather strap combined with the spring steel distribute the weight of the headphones very well. They aren’t heavy. The pads swivel to fit any head shape and there also adjustability for head size via firm clicks on the spring steel band. I really like the look of the HE-1000 v2, but some will complain about having multiple metal colours and textures. The HE-1000 SE fixes this minor aesthetic foible, changes the wood veneer to match the Susvara, gives a slight golden hue to the spring steel, and switches out a black leather band for the tan one on the HE-1000 v2—the SE is a bit more attractive. 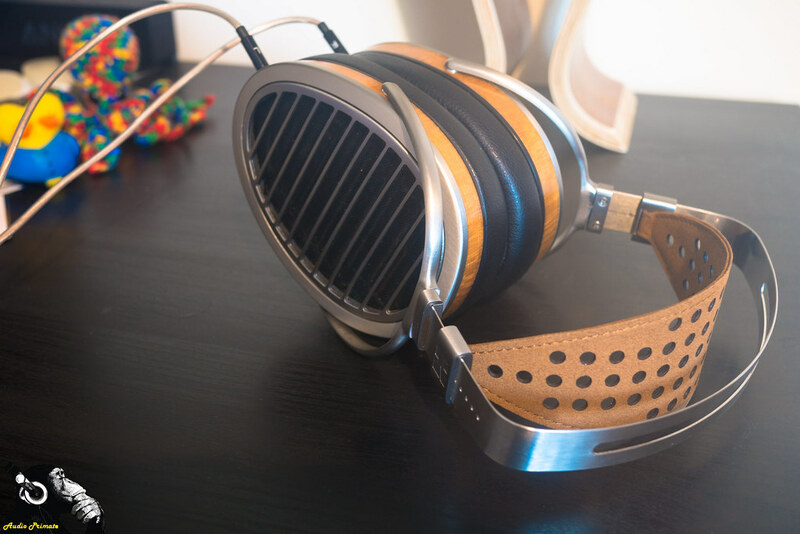 The wood veneer is a nice look that HiFiMAN has been working well since the HE-560. The included cables don’t look like they belong, but it did come with three, which is good. The HE-1000 v2 has cables that attach via 2.5mm connector at the headphone, which is a connector notoriously prone to breakage. They probably should have had these be recessed, which would protect against breakage. On newer headphones (but not the Susvara), including the new HE-1000 SE (yep, this headphone is now officially obsolete, so probably available for bargains in the used market), they have upgraded to the more sturdy 3.5mm connector at the headphone side. The HE-1000 v2 cables are terminate in 3.5mm, 6.3mm, and 4-pin XLR connectors. These terminations cover most set-ups. If I were to do a a cable set for a high end headphone, I’d do 2.5mm with screw-on 3.5mm and 4.4mm converters, and a 4-pin XLR with a dog-tail 4-pin to 6.3mm converter. That set-up would cover all bases and take up almost no packing space. I’d also use a machine braided 8-braid set-up for appearance, flexibility and strength; high purity copper would do. The cables are functional, but they look cheap. 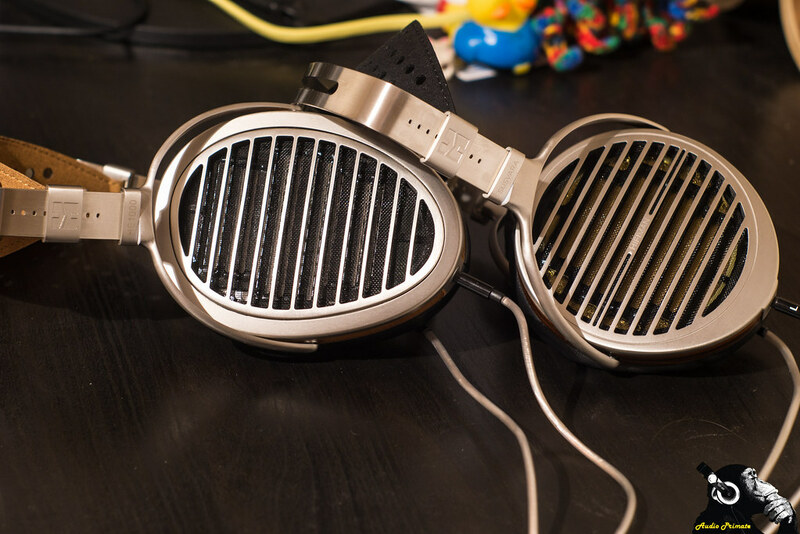 HiFiMAN needs to pay more attention to accessories. Focal got blasted a bit for their Utopia accessories, and then released the Clear with far better accessories. 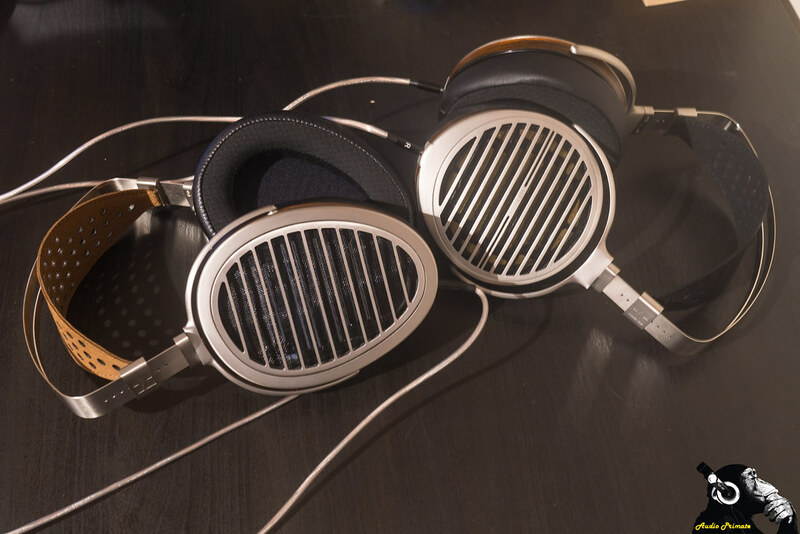 HiFiMAN needs to make the same decision if they want to be taken more seriously. Their sound gets them in the picture, but they need to embrace the premium part of being a premium brand. Premium headphones should come with premium accessories. In-ear manufacturers have long understood this, but full-size headphone manufacturers are taking a bit to catch on. 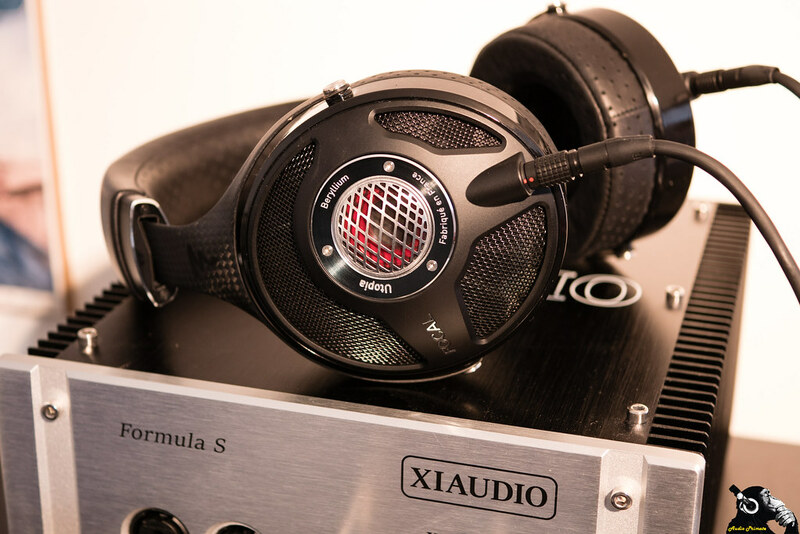 First off, I’d like to say that when I first heard the HE-1000 v1 playing some fantastic jazz at Canjam 2015 that made me feel like I was in the room, I didn’t think there could be better in a currently in production headphone. I had more opportunities to listen to those v1s as a good friend had bought them after reaching the same conclusion as me. I listened out of a first gen Yggdrasil/Ragnarok stack during my first weeks with the iFi Micro iUSB3.0 at a friendly audiophile mini-meet. Lots of people protested when the v2 was released just a little over a year after the v1, but it is the better headphone, overall. Many complained of diffuse and weak bass on the v1, a laconic presentation, and I experienced first hand at that Canjam that it could be unforgiving on amp matching. The v2 has more weighty bass, though not as linear, while still maintaining the overall detail resolution. Where the v1 could be accused of being lazy or laconic sounding, the v2 energetically embraces any sonic ambuscade. The HiFiMAN HE-1000 v2 likes current. Supply it that and it’ll be happy. My QP2R drives it with no substantial loss of quality. The Questyle CMA600i drives it well. The XI Audio Formula S levels it up in technical performance, with improved resolution and space. The included cables are not impressive. Compared to the Atlas Cables Zeno, the stock cables sound soft all around. Upgrading to the Zeno gave me more bass texture, more resolution and more stage. All comparisons were done with volume matching done by ear. I’ve found that full-sized closed back headphones are easy to volume match, but open back headphones have highly variable measurement properties. I managed to have versions of the Atlas Zeno on hand for each comparison, though the Utopia cable was dual XLR with silver pins instead of 4-pin with brass pins. Does double the price mean a substantial improvement in quality from the same manufacturer? Yes, and no. When I throw on The Pixies – Where is My Mind, the Susvara has larger stage dimensions. The most notable difference is enhanced stage depth, but height enhancement and width enhancement are there too. When switching between the two headphones, the HE1000 v2 sounds more present, more engaged. This is because it has more bass quantity, slightly more forward mids, and the aforementioned reduced depth compared to the Susvara. The Susvara is technically superior, but there will be plenty of people who prefer the more engaging sounding HE1000 v2. Wager-Åstrand – Fasten Seat Belts is a great test of a headphone’s ability to keep up with fast and precise instrumentation. Neither headphone disappoints, but the transients are just a little bit more precise and distinct on the Susvara. Both the HE1000 v2 and the Susvara have what could be called neutral tunings. They don’t throw anything into emphasised territory, but they are not exactly the same tone. The HE1000 v2 has greater bass quantity, but less textured bass when listening to Leonard Cohen – Leaving the Table. Midbass has more quantity, but the sub-bass extension of the Susvara isn’t matched. There is more deep down rumble in the Susvara. The mids between the two are a bit of a push. The HE1000 v2 is a touch more forward. The mids are a bit clearer and Leonard Cohen’s voice is also a touch airier on the Susvara, whilst the vocals are smoother on the HE1000 v2. Micro details of vocal tones and little breathy elements of Leonard Cohen’s voice shine through the track on the Susvara, but are slightly smoothed over on the HE1000 v2. You can hear Leonard’s clothes moving clearly on the Susvara, which makes him as a person just that much more present on the Susvara. 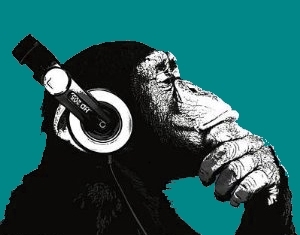 Listening to Saturday Looks Good to Me – Negative Space reinforces impressions of both the bass and mids. The bass has deeper rumble on the Susvara and both the mids and the bass have greater detail and texture. The Susvara is technically superior, and it is clearly perceivable on LoFi and HiFi tracks. The Susvara is better than the HE1000 v2, but it also comes with more amping requirements. I can drive the heck out of the HE1000 v2 on the Questyle CMA600i, it really doesn’t need the Formula S. The Susvara needs the extra amping. The Susvara will never be amenable to being driven off a DAP like I’m doing off the Questyle QP2R in balanced mode right now. While listening to Amber Rubarth – Washing Day off the QP2R in High Gain with High Bias (volume 107 out of 120) nothing sounds strained, nor does the soundstage sound compacted in any way. The HE1000 v2 is half the cost of the Susvara for about 88% of the performance. First up, some non-sonic stuff. The HE-1000 v2 are way more comfortable than the Utopia. The larger swivel radius of the cups on the HE-1000 v2 means there are no pressure points, the cups sit flush with an even pressure distribution. The larger pad surface area and grill surface area also means that weight and heat are better distributed. The HE-1000 v2 are lighter, with a better distributed load due to the design of the strap. They don’t look as tough or prestigious as the Utopias, but they are more functionally minded in their design. Overall sound impressions. The HiFiMAN HE-1000 v2 is smoother and more natural sounding than the Utopia. It has a more open sound with a wider and taller soundstage. It has a very real feeling. The Utopia has a deeper soundstage than the HE-1000 v2. The small size of the soundstage gives a clear disconnect from the feeling of reality over headphone simulation. The Utopia has a remarkably black background. When listening to the Tom Waits – The One That Got Away the silence between instruments and notes is impressive. So clean and clear. Love the stand-up bass accuracy and separation between the instruments. The whole album has a live feel to it and it’s especially apparent on this track. The HE-1000 v2 has a little lighter touch on the mids. On the Utopia, the decay with stand-up bass is more natural, it’s a touch fast on the HE-1000 v2. Saxophone sounds a little rougher and reedier on the HE-1000 v2, the Utopia is smoother through the mids with a bit more body. There’s a bit more texture in Tom Wait’s voice on the HE-1000 v2. Listening to Slayer – Necrophobic the mids are a bit thicker and less textured on the Utopia. The decreased width of the soundstage reduces the ability to resolve the band in space. With Talking Heads – Psycho Killer the Utopias have a bit of thickness in the vocals that deadens a little bit of the dynamics in David Byrne’s voice. The HE-1000 v2 are more natural and timbrally accurate. They also have a wide stage. Listening to Shostakovich Symphony No. 1, the Utopia does a beautiful job of rendering the depth of instrumentation. Instruments are clearly separated in y-axis (moving from the listener perpendicular to the face), but the width (x-axis) is not sufficient to get a good idea of the scale of the orchestra, the stage height (z-axis) is also not exceptional. The HiFiMAN HE-1000 v2 has better stage dimensions. There is a nice sweetness to the violins. Strings in general sound beautiful with just the right amount of weight given to each part of plucked and struck notes. Roger Waters’ album Amused to Death is one of my all-time favourite albums for sound quality. When listening to the album I found that the 40mm dynamic driver on the Utopia gave my ears a pretty good thrashing at similar volume to comfortable listening on the HE-1000 v2. I think that because the driver area disperses the sound more on the HE-1000 v2 that there is less pressure on any given area of the ear, while the Utopia is a piston driving pressure directly at my ear-drum. The HE-1000 v2 also imparts more breathiness into Roger Waters – Three Wishes. However, it should be noted that the Utopia sounds more impactful on Three Wishes. Overall, I think that in most areas, the HE-1000 v2 is more to my liking than the Utopia. It has a bigger stage, it is more comfortable, it causes less listening fatigue. It is also less expensive. Matched with essentially the same aftermarket cable, the Atlas Zeno, the HE-1000 v2 is the better buy at $2999 and, to my ears, the better sounding headphone. Some will prefer the more impactful and intimate sound of the Utopia. Both headphones are very detailed but the HE-1000 v2 sounds more natural to me. 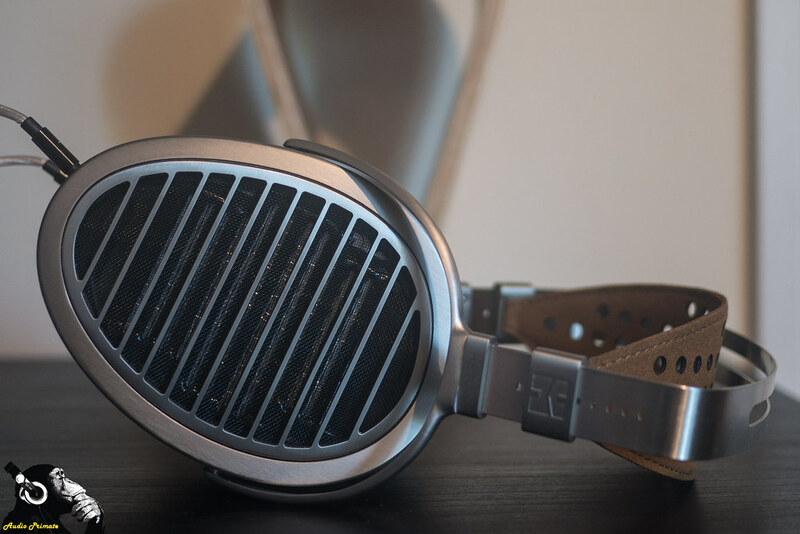 I think that the HE-1000 v2 is every bit as good a headphone at $2999 as the Utopia at $4000. It has better soundstage, is far more comfortable to wear, and has a less fatiguing sound. The HE-1000 v2 competes with just about anything in it’s price range that I’ve listened to (need more time with Meze Empyrean). The Susvara is technically better, but the price is double—both should come with better cables and a functional carrying case instead of a display box that will just go in a closet. Now that the HE-1000 SE has been released, people who have the HE-1000 v2 have the option to upgrade by sending their v2 to HiFiMAN and paying a $1000 fee (for a limited time, apparently). This tells you something about how much the headphone actually costs to manufacturer vs. its list price. With the HE-1000 SE out, I’d imagine the price in the used market will decrease, much like what happened with the Sennheiser HD800 after the HD800s came out, which means this is probably available out there for a bargain. I think it’s worth it at $2999. For less, you could get quite a steal.